In just a few years, our understanding of the human past has changed beyond recognition as new discoveries and advances in genetic techniques overturn long-held beliefs and make international news. Drawing upon expert literature and the latest research, HUMANS: FROM THE BEGINNING is a rigorous but accessible guide to the human story, presenting an even-handed account of events from the first apes to the first cities. and brought fully up to date with the latest developments. small-brained Homo naledi lived alongside Homo sapiens in Africa; and that Neanderthals, Denisovans, and Homo sapiens all repeatedly interbred. the Late Bronze Age collapse of Eastern Mediterranean civilisation. HUMANS: FROM THE BEGINNING is written for the non-specialist, but it is sufficiently comprehensive and well-referenced to serve as an ideal ‘one-stop’ text not only for undergraduate students, but also for postgraduates, researchers and other academics seeking to broaden their knowledge. How do you infer the existence of a hitherto-unknown human species from a fragmentary finger bone? Why do we walk on two legs? Were Neanderthals really dimwitted? How did a small, solitary predator become the world’s most popular pet? What was the ancient link between languages spoken in places as far apart as Iceland and India? These are just some of the questions faced by those seeking to unravel the secrets of the vast period of time that predates the last six thousand years of ‘recorded history’. In addition to fieldwork and traditional methods, paleoanthropologists and archaeologists now draw upon genetics and other cutting-edge scientific techniques. 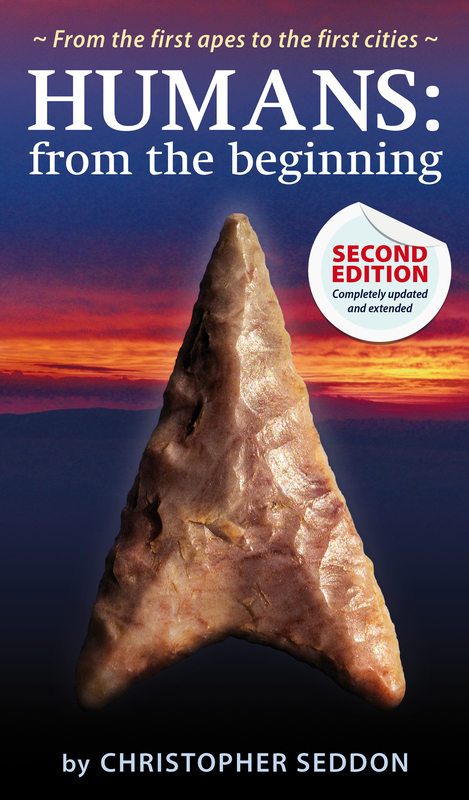 In fifty chapters, Prehistoric Investigations tells the story of the many thought-provoking discoveries that have transformed our understanding of the distant past.